If there’s one thing that’s certain, the internet is a big and busy place. When you are a content creator, it can seem like you are lost in the masses. It becomes hard to get noticed. Luckily there are ways to stand out amongst the crowd. Where you can wave your hand and make people notice. 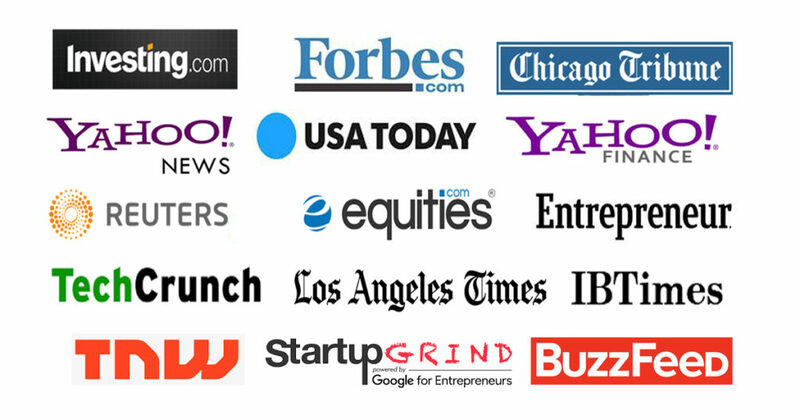 How this can be achieved is by getting featured on prominent sites such as Forbes, Huffington Post, and Mashable. But how do you do this? The first question you might have is– why bother? Why do you need to put all this effort into getting your article published on a big name site? Does it really matter? Maybe you have just started your business. Or you have been around for a little while, and you have established a bit of a presence, a following on Instagram, a Facebook group or a good LinkedIn profile. You now want to step up a bit further, start scaling your business. The key way to do this is visibility. I’m sure your website, your content and social media profiles are nowhere near inept, there still can be something lacking. That something can be credibility. A way to show you can do what you say. One of the routes to get this integrity is to be published on recognized sites viewed as high quality, reliable and an authority. Now we understand why it is worth getting featured on significant publications like Forbes, let’s move onto how we would go about it. The fact is, there are an estimated two million blog posts created every day. This means it is already hard to stand out and very challenging to find something truly original. The good news is you don’t need innovative content, you want a new and exciting variation on something which already exists. Think about what your readers would care about, be interested in or even get fired up about. You want to get into the habit of creating great content for your website before you start pitching for the prominent named publications. Because this is your portfolio, the showcase of your ability. If you have a fantastic idea, you may be able to go straight to a site like Forbes, pitch your concept and get published. Although most of the time, you need to do something in the middle to help build your profile. One example of this is to use HARO – Help A Reporter Out. This is a way to get mentioned in high-quality articles by providing insight and information for reporters who can publish on sites like the New York Times. Make it to a high standard, useful and a little away from the standard answer to increase your chances. Also, consider doing some guest posting on other sites. Aim above your level and look for more prominent bloggers or businesses to feature you. This also gets you into great practice for proposing your content idea to those significant publications and how to go about it. Since you are creating great content, there’s no need for your website to be the only place it features. There are a few places you can republish your content without worrying about duplicate content issues from search engines. LinkedIn’s Pulse is one example. This allows you to publish your content on the site and it is viewable as part of your profile. You can republish content already on your website or even write something specifically for the platform. It is easy to share with your network and is searchable to help improve your credibility. Medium is another platform to consider. Like Pulse, it lets you republish content already published elsewhere. People can follow you, see your content and share it. Plus, since it is searchable, if someone runs a Google search on you, this will also appear. When I first started to pitch editors of major publications, the thing which caught me every time was what to pitch. I used to worry my idea was too similar to other people’s content or I wasn’t that much of an expert to be worthy enough of a place on their site. The truth is, Forbes and other significant publications need valuable content, and they give you some great pointers on what to create for them. If you visit the Forbes website and look for how to submit a guest post, they even give you some inspiration. They tell you how long the post should be (800-1000 words) and it must not have been previously published. There’s even help and guidance on how to send the query and what information they want. Being seen as an expert may seem something overrated, but the core idea of it is sturdy. By being able to showcase your content on well-known publications like Forbes or Huffington Post, you are ready to step over others who haven’t. Those ‘as seen on’ sections on a website are a common sight because they work – instant credibility. Besides, it’s a case of practice makes perfect. Do your research, take steps to get your name out there and prepare an excellent pitch for the editor they are unable to refuse. Who knows? Before you know it, you could be one of the ‘featured on’ people and have your website banner with big-name logos on it.